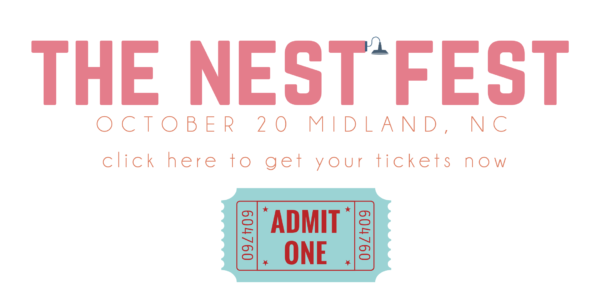 You’re invited to the third annual Nest Fest on October 20 outside Charlotte, North Carolina. Tickets on sale now! My second book, Cozy Minimalist Home will be available early only for Nest Fest attendees. Nest Fest entry tickets include a signed copy of this hardback, full color book. 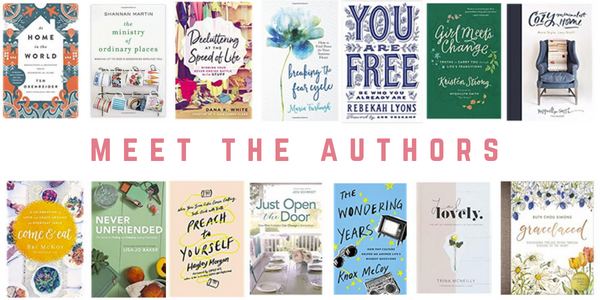 Come meet fourteen of your favorite writers-they’ll be signing and selling their books and ready to snap a photo with you. This year, the authors have different assigned times, be sure to check out all the times here. Featuring, special guests: The Popcast! Come and meet Knox and Jamie from The Popcast with Knox and Jamie! 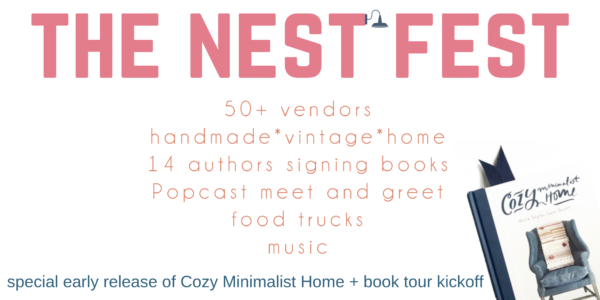 Nest Fest is opening day of the Tiny Cozy Barn–the tiny barn we’ll be taking on the road with us on the Cozy Home Book tour. We’ll be pulling out the day after Nest Fest so you’ll be the first to see the barn in person, walk through and see the Cozy Minimalist tools in action. As I type this, tickets have only been open for just over a day and we’ve already sold 33% of our 1000 available tickets. We expect them to sell out early this year, so be sure to grab yours here.